We simply referred to her, as Whitney. For no one before her, or after her, has even come remotely close to her unspeakable ability. To only refer to Whitney Elizabeth Houston as a merely talented singer, would diminish the enormity of what she truly was. Talent is for the common mortal, and she simply more. 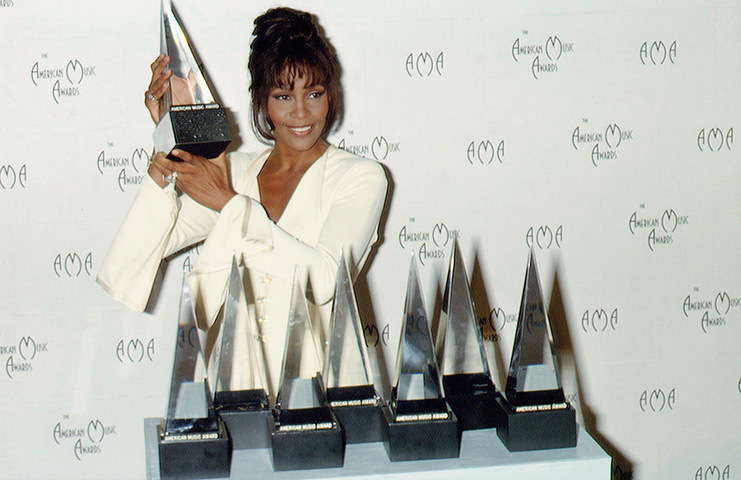 Whitney was gifted, and gifted artists come few and far between. Her voice was an instrument infused with the spirit of jazz, the grit of the blues, the emotion of an aria, and was bound together by her love of the Lord. Listen to her recordings, and watch her live performances, and see how she literally sang as if God himself embodied her being; entering and exiting her body through each and every note. Her family affectionately called her, Nippy. Like the mischievous cartoon character from which her nickname was derived, Nippy always seemed to tip-toe on the edge of danger. Beneath her sweet-natured and angelic exterior, lay a tough and fiesty homegirl from the projects of Newark, New Jersey. In the beginning, she was often accused of not being “black enough”; for allowing Clive Davis’ influence to infiltrate her cultural upbringing. An upbringing that was saturated by the likes of Aretha Franklin, Dionne Warwick, Chaka Khan, Diana Ross, her mother Cissy Houston, and so many great black female artists that came before her. 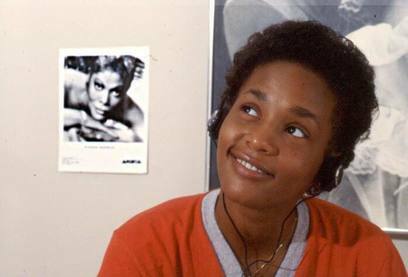 However, make no mistake, even in those early years, Nippy could sang. She could really, really SANG, and made classics. She was exquisite, always sounding leaps and bounds better live than she did on wax, and far beyond her years. No amount of record label imposed grooming could ever mask the depths of that woman’s soul. And as she lived more, that soul grew. Throughout her life and career, the images of two women deftly emerged: Whitney, the prim and proper Pop princess who blossomed into the foreground of music throughout the latter part of the 20th century, and Nippy, the wild-child diva who bristled under restraint. Each woman was equally important. Neither was necessarily wrong, but one suffered far more than the other. Just a little black girl from Newark. – Whitney, talking about the success of “I Will Always Love You”, Rolling Stone, 1993. She did it first…and often better. When thinking about Whitney, we’ve become very selective of the memories that we choose to have. We choose to forget how devastatingly successful she was. She was statistically, the most awarded female artist in music history, a dynamic film producer, businesswoman, philanthropist, and accomplished film actress. She paved the way for most of the women that fill today’s musical landscape, and for a long while, did it with ease. Every child had a Whitney Houston poster on their walls, there wasn’t a nightclub that didn’t play “I Wanna Dance With Somebody”, or a drag queen that couldn’t lip-sync the entirety of “The Greatest Love of All”. Everyone on the face of the planet knows “I Will Always Love You”, no matter if you love it, or not. The accompanying soundtrack to her film debut, The Bodyguard, was not only the first documented album to sell 1 million copies within the first week of release, but went on to be one of the greatest selling albums of all time. Far before the recent and large influx of diversity in television and film, Whitney strove to introduce stories reflective of the changing landscape of America, with films such as Waiting to Exhale, and Cinderella. Yes, for a time, Whitney was (for lack of a better word) unfuckwitable. Outside of her professional life, Whitney was a wife, a mother, and daughter, and in many ways, held much similarity to most of us. Her deep love of family and God was apparent, and held steadfast even through the worst phases of her life and career. The public loved to watch her fail. The many scandals that plagued her life later on has become probably the largest part of the narrative. The public has always had a voyeuristic fascination with watching someone’s downfall. When the subject of said tragedy is a black woman, our gaze toward their descent is all the more punishing. The world watched while she faltered, gawked as she clearly was in pain, and laughed at what tragically became more and more apparent. Many have tried to diagnose her, and while I would never profess to be a medical professional in any way, I would hazard to guess that the circumstances that brought her life to an abrupt end were simple. Nippy was indeed every woman, flawed and vulnerable in spite of her strength; she was a human creature of duality, and was judged harshly for it. I only wish she could have been saved from herself, and more so, from us. We didn’t love her like we should have…or like we claimed to. Even in death, we haven’t forgiven her love of excess, of Bobby Brown, or possibly of other women. We as a society have the fool-hearted notion that any of what I mentioned above are things that should be absolved; as if we all live our lives cleanly, without any blots on our own stories, or as if one’s sexual preferences are worthy of judgement. I don’t want to go any further without saying that I would never endeavor to normalize or legitimize substance abuse, and it’s far reaching impact of one’s loved ones. At the end of the day, Whitney was the main cause and effect of the troubles in which she endured. However, that seems to be true for a lot of her male counterparts, and yet we remember them much more fondly. Was it her womanhood? Was it because she was black? We claim to love women in our society, but we don’t love them enough to allow them to be imperfect. Lord knows public love for black people is subjective at best, and advantageous at worst. However, I can say that in the end, we never loved Whitney enough to really let her live, nor have we loved her enough to really let her rest in peace. We’re too caught up in the momentary spectacle of scandal. – Whitney, on the public’s fascination with her personal life, Out Magazine, 2000. And so today, five years after she went home, on a Saturday much like this one, I urge you the reader, to look at the bigger picture. While the negative aspects of the storied life and death of Whitney Houston are very much imperative to the narrative, they should be just that; aspects. They don’t encapsulate the full story of this brash, fiery, God fearing, beautiful, and deeply flawed human being. I implore you to seek to remember the positives that also fit into the puzzle of this juxtaposition of a woman. Remember her family, who still reel from her loss, more so than fans like myself do. Remember her daughter, who tragically left us far too soon like she did. I implore you to remember her, ALL of her, with love and kindness. May you truly rest in power, peace, and love, Nippy. – Whitney, The Oprah Winfrey Show, 2009.